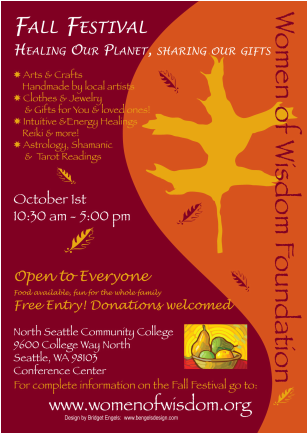 ​Free Entry ~ Donations to WOW appreciated! Great gifts for your holiday shopping! Handmade art, clothing & jewelry! Treat yourself to a healer, astrology or tarot reading and so much more! ​Please bring a non-perishable food donation for the NW Food Bank! Healers and Readers will help us align our physical selves and our spiritual selves, and help us feel better all around. The WOW auction will bring you treasures and pleasures.